They say a picture is worth a thousand words and, in blogging, this is certainly the case. Using images and photographs is crucial to capturing people’s attention, but using them comes with plenty of pitfalls. To catch the eye: An image can draw attention to a blog post and entice a visitor to read more. To break up text: Long blocks of text can be off-putting to readers, but images can improve the appearance of a blog post and make it look more palatable. To provide explanation: An image can help describe what the post is about, or help emphasize a particular point. To set the tone: The right images can help set the tone of a blog post. To boost visibility: People search for information in various ways on the internet, including using image searches. Having images on your blog increases the number of ways people can find you. You have to be selective when including images in your blog post. An image has to be relevant to what you are writing about, as well as reflecting the tone of the post. For instance, if you are writing about a serious subject, you do not want to use a humorous image or cartoon, but for light-hearted posts, you will want a frivolous image. The best images to use are those that tell a story or clearly explain what your blog post is about. Hot Tip: Images of people pulling different facial expressions, such as shock, anger or happiness, are a great way to set the tone of your blog post. These days, finding appropriate images for blog posts could not be easier. Tools such as Google Image search, Flickr and Photobucket mean that, with just a few keywords, you can find an image for almost anything. However, while finding images on the internet could not be easier, using them is fraught with problems, especially when it comes to copyright and licences. Just because the internet makes it easy to find images, this does not mean you can use anything you find. Images are usually subject to copyright. This means that, unless you get permission from the rights holder, using an image could result in legal ramifications. The internet is full of horror stories of how bloggers have been sued for copyright infringement, so it is important to understand copyright rules and know what you can and cannot publish on your blog. Many people fail to understand copyright law and many myths have developed about using images on blogs and websites. An image is on another blog, so I can use it: This is simply not true. An image is protected by copyright, no matter where it is published. Only images with a copyright symbol (©) are protected: Again, not true. All intellectual property, including images, are automatically copyrighted when they are created. Just because you do not see a copyright symbol does not mean you can use the image. You can use an image if you attribute it: Some bloggers think by referencing where they got an image, it makes it okay. Not the case; you may still be infringing copyright. Before you can use an image, you need permission from the rights holder. This is not an easy process. It may not be clear who the rights holder is. If it is a photograph, normally the photographer owns the copyright for the image. However, as it is possible to sell and license rights to other people, you may have to follow a long chain until you find the owner of the image. Hot Tip: If you see an image on the internet that you want to use on your blog, contact the blog or website where you found it and ask who owns the rights. There are easier ways of finding images for your blog. Not all images are subject to copyright, and there are numerous ways of using images on your blog posts without falling foul of the law. The simplest way to avoid the headache of copyright is to take your own photos for your blog. These days, you do not need an expensive camera to take a good-quality picture, as most phones have decent digital cameras on them. In addition to providing you with images to use, taking your own photos means your blog will be more original than those that use stock images from an image library. 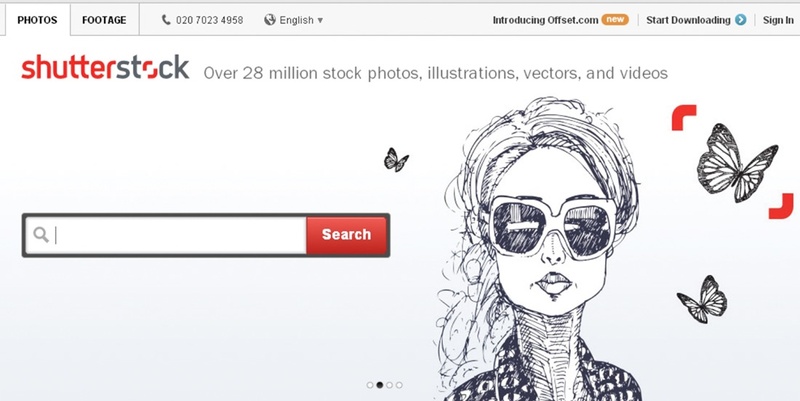 iStockphoto: One of the largest image libraries on the internet, iStock has millions of images. Users purchase credits, which they can trade for images, many of which work out at less than a dollar (60–70 pence). Shutterstock: A huge library of images available to users who purchase a subscription or image-on-demand package, which vary from £29–£139 ($45–$220) depending on the size and quantity of images required. Getty Images: More expensive than other stock libraries, Getty Images is aimed more at businesses and corporate websites and blogs. Not all image libraries charge. If you do not have the budget to buy stock images, you can find numerous places on the internet where images are free to use on your blog. Wikicommons: Contains free-to-use images and other media files, many of which are used by the online encyclopedia Wikipedia. 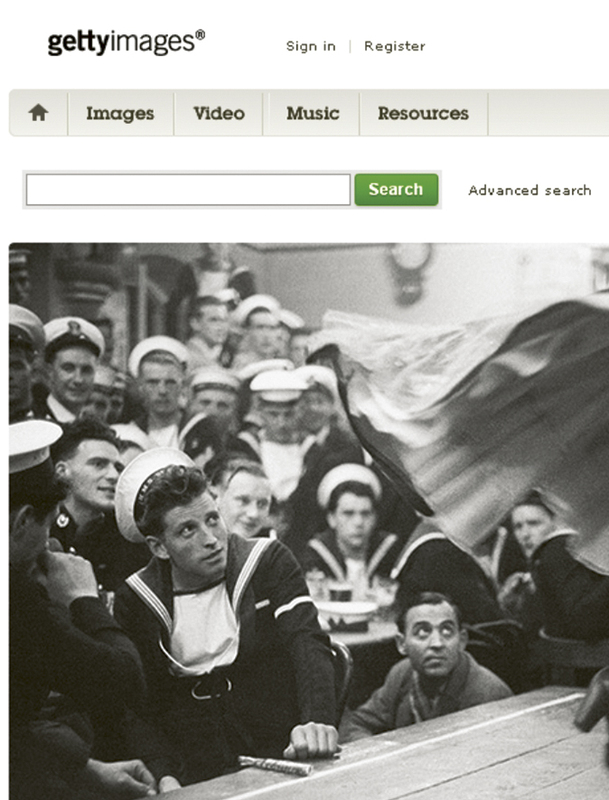 Flickr: An image-hosting website where users can upload images under the Creative Commons licence. Photobucket: Another image-hosting website full of free-to-use Creative Commons licensed images. Attribution generic: You can use the image in any way you like, as long as you credit the rights holder. Attribution noncommercial generic: As above, but you cannot use the image for commercial purposes. Attribution no derivative works generic: Means you must credit the rights holder but cannot alter the image in any way, such as by cropping. Attribution noncommercial no derivative works generic: As above, but you cannot use the image for commercial purposes. This post is based on an extract from our bestselling book, How To Blog by Richard N. Williams (ISBN: 9781783612314) – where you can find more on the above and further help and advice on running. Have a look on amazon by clicking here. Check out 11 places to get free and legal photos for your blog here. Read an article about a blogger who was sued for copyright infrinment here.